I know it's from a commercial application. I know I only had to upload a couple of photos to make it... but what the hey... Mrs Gorman and myself wanted to wish you a happy Christmas. We recorded our last live radio show of the year this morning. (I think they're playing a best-of compilation next week) If you've tuned in during the last twelve months - or downloaded the podcast - then thanks. It seems to have grown and grown and we're all very happy with the way it's going. Every now and then - like this morning - our regular producer has to miss a show and we have someone else come in and do the show... and one of the things they always comment on is how responsive - and intelligently so - our audience is. Especially for a Sunday morning. That makes me feel reet proud. Ta. Absolute Radio are being really supportive of the DVD (I think the fact that I only missed one radio show when I was on tour and that was because I was in Belfast helped) and done a deal which means their listeners can effectively get free delivery (in the UK). I think it's a really nice way to connect the live radio stuff I do with the live and vice versa and a nice pat on the back for the show - and a better deal for the listeners too. There are two or three ads for it playing on the station every now and then and seeing as it makes for the cheapest price I thought the decent thing would be to mention it here too. I didn't know how to upload a sound clip to the blog... so I've made this video to accompany it. It's been many years since I saw my naked face. Mrs Gorman had never seen it. So I've just shaved. And she's taken photos. 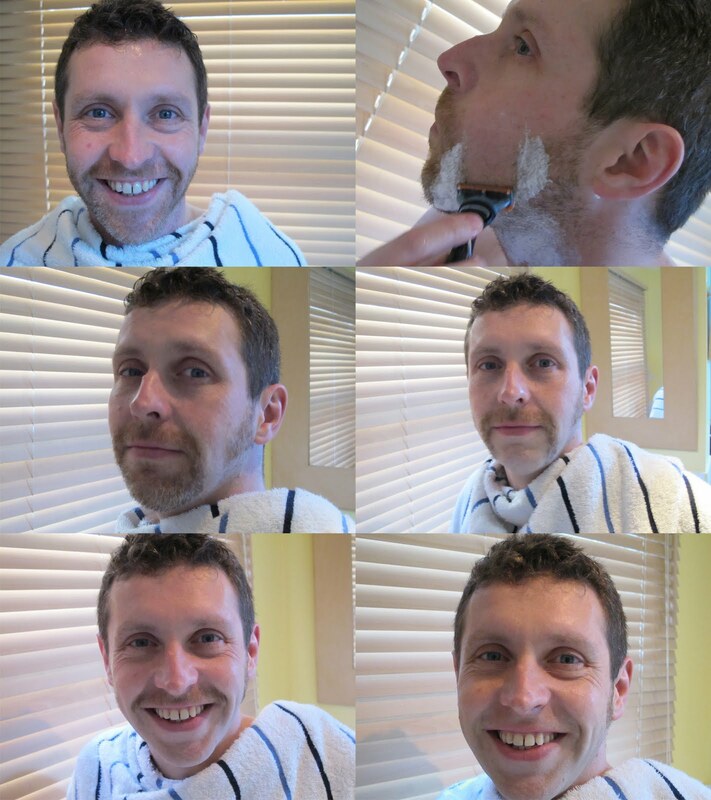 And now I'm going to grow the beard back. I'm sure a lot of personal websites are prey to bouts of pomposity. It's always a risk for those sites that are created with a "hey, you might be interested in me" kind of message. 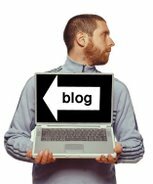 I don't doubt for a minute that davegorman.com has some in there somewhere so I don't bring this to your attention with any feeling of superiority... it just made me chuckle. So... Jackie Collins - the publishing phenomenon and sister of Joan - has a website. 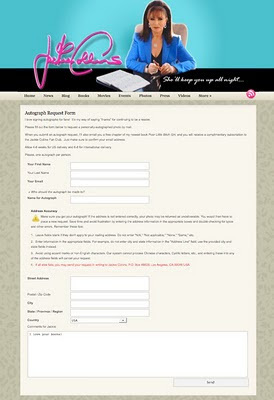 On her website there's an autograph-request-form. You have to fill in your name and address and so on and, if you like, you can send a comment along with your request. 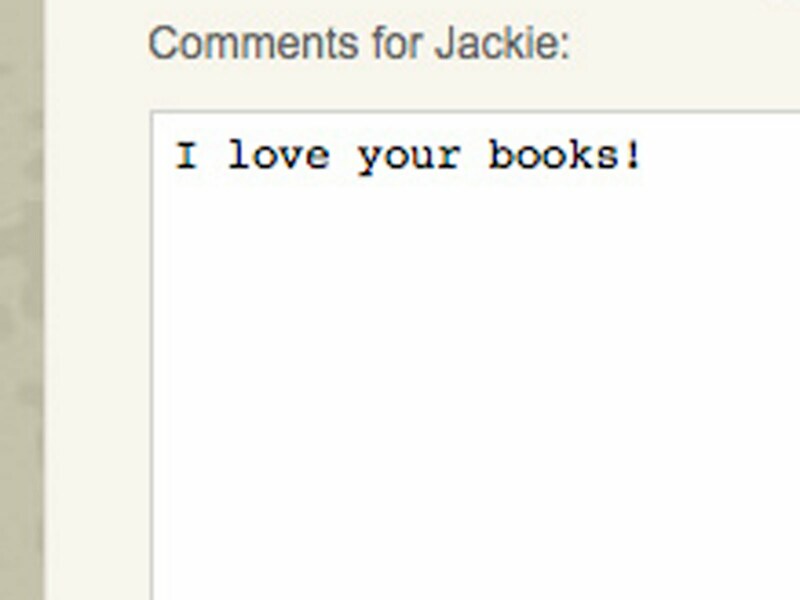 But maybe not everyone that wants Jackie's autograph has her easy way with words. Maybe there are some people who get a bit flustered when faced with that comments box because they don't know how to express whatever it is they want to say. 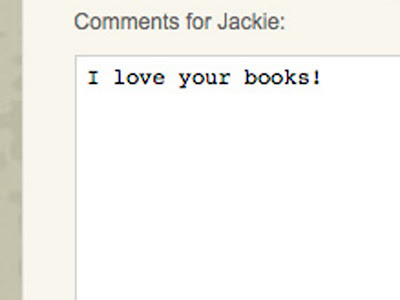 Well that's okay because Jackie thinks of everything. She's read your mind. She knows exactly what you want to say. Or at least her web designers do. They've kindly added a pre-written, suggested message for you. Lovely. PS: I'm always wary about including a link like this in case people decide to use it to send messages. Play nicely people.